Reflector Enhancer Epoxy Floor in Union, Me. 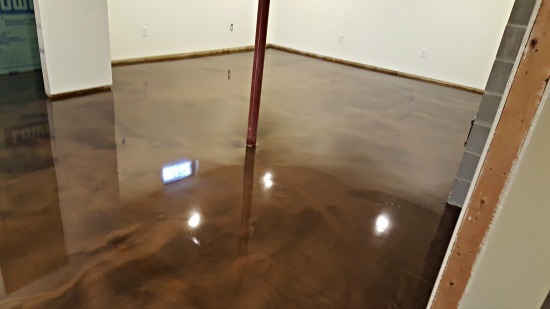 We installed this "coffee" colored reflector enhancer epoxy floor for a customer in Union, Me. The area was approximately 500 square feet in a finished basement. 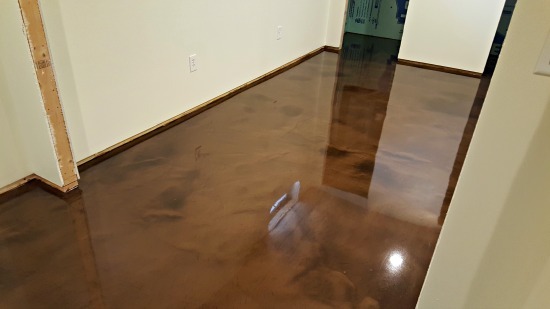 We applied the reflector epoxy over a concrete floor that was in good condition. The color "coffee" is quite popular. As you can see in the pictures, coffee has some lighter and darker browns. This color floor will blend in with just about any décor. The way the different colors of brown blend together is unique to each floor we install. 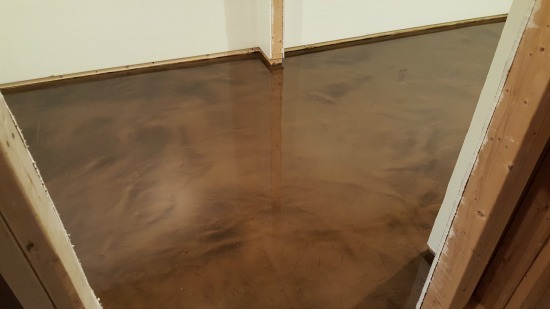 Our reflector enhancer epoxy floors are seamless and water proof. This makes them easy to clean and maintain. 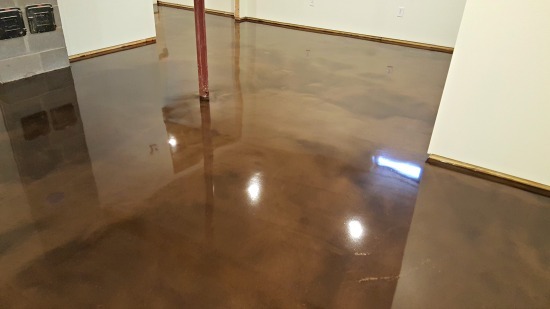 Reflector enhancer epoxy gives the concrete floor the appearance of having stained concrete but with the durability of epoxy. 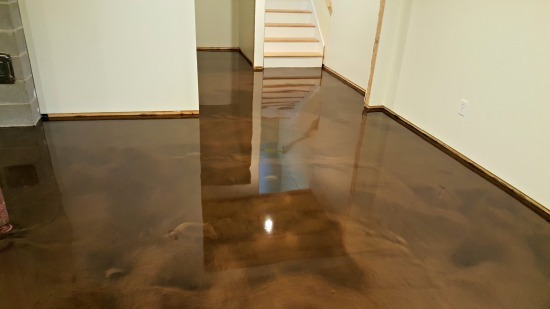 Our reflector epoxy floors can be installed on any interior concrete floor, new or old. We can also blend multiple colors together for a really unique look. If you would like more information or if you want to get a quote, just click here. To check out some other projects we've done with reflector enhancer epoxy you can look here. Here's our reflector epoxy color chart.